TOPIC: NEWER, HOTTER AND FRESHER! Prayers to arise, prayers to survive in the midst of diverse thorns, prayers to unlock all locked doors, prayers to run through every opposing troop of the enemy, prayers to leap over every evil wall of rejection, denial, humiliation, disappointments, failure and prayers to possess your possessions daily and achieve your heart’s desires. YOU MUST REMEMBER; IF YOU CAN PRAY, THERE IS A GOD WHO CAN ANSWER AND CATAPULT YOU INTO YOUR PLACE OF DAILY DECORATION SPEEDILY IN THIS QUARTER/YEAR. 1. Psalm 105: 1; O Lord, thank You for Your magnificent works in my life, family and ministry. 2. Psalm 121: 1; I lift up my eyes to worship You Lord, because You have been my helper, my shield and my buckler. 3. Vs. 2; O Lord, I praise You because the earth are the works of Your hands. 4. Psalm 100: 4; thank You Lord for being my helper since the year began. 5. Vs 4; Blessed be Your Holy Name ABBA FATHER , for the continues victory that shall overflow for us in this quarter. 6. Psalm 56: 1; LORD bless me with Your mercy and goodness today and in this quarter in Jesus name. 7. Psalm 68: 19; I magnify You Lord for the good things and loads of benefits You have kept in store for me and my household this season. 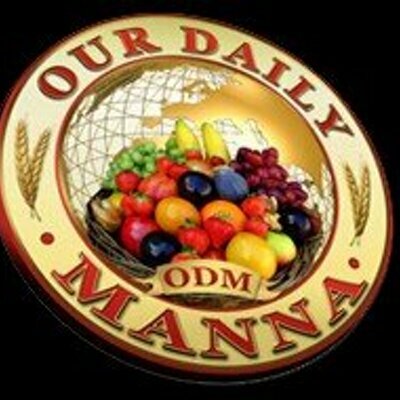 READ Our Daily Manna March 8, 2018: ODM devotional — Einstein’s And Daniel’s Secrets! 8. As I cry to you today Lord, let my heavens be opened and I vow to give you all the glory. 9. 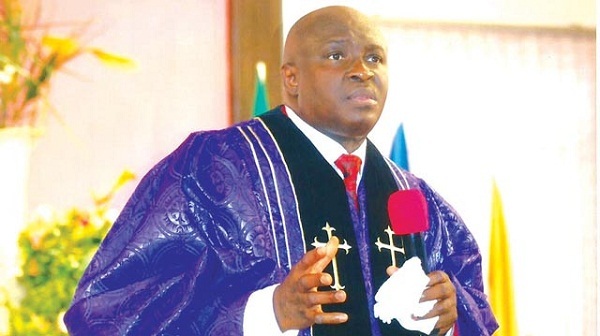 O God, arise and cut off the dominion of sin from my life this day in Jesus name. 10. Job 5: 12; Lord, disappoint any plan of the devil to decorate me with shame and disgrace today/this quarter in Jesus name. 11. O God; let their evil garments of poverty rise and fall syndrome, demotion and stagnation catch fire today and daily in this quarter. 12. Psalm 56: 5; My father! My Father!! Let the memories of my enemies fail them this day and daily in this quarter. 14. Psalm 91: 5; O God, deliver me from any evil arrow designed to cripple my efforts today by fire. 15. Isaiah 49: 25; O God of war; arise and contend with any power and personality contending with me. 16. Vs 25; LORD, contend with the workers of iniquity and wickedness working against my destiny now by fire. 17. Vs. 25; O God, salvation belongs to you; save me and my household from the clutches of captivity this day in Jesus name. 18. Job 38: 12; O you morning, hear the Word of God; release my honour, decoration and favour today in Jesus name. 20. Vs. 3; O you my caged wealth and riches, hidden and stored in secret places, come forth today by fire and thunder. 21. Matthew 11: 12; O LORD, take back my spiritual life this quarter by force. Any plan designed to mark me weak, scatter now by fire in Jesus name. 22. Vs 12; I take back my health, family, finance, job and business etc now by force in Jesus name. 23. Vs 12; violently I scatter every satanic roadblock designed to stop my testimony and announcement this season by fire. 24. Vs 12; violently I crush every force of frustration mounted on my destiny pathway now in Jesus name. 26. Vs 28; O light of God, shine upon my way today and open every closed door for me in Jesus name. 27. Psalm 121:1; Jehovah Ebenezer; you are the source of my help; command help for me in this quarter and indeed this year in Jesus name. 28. Isaiah 60:1; Abba Father! Baptize me with Your manifest glory as I step out this day in Jesus name. 29. Matthew 15: 13; O God, disappoint and root out of my life, family and ministry every spirit of ‘once upon a time’ now by fire. 30. 1Timothy 2: 1-2; Pray for me Dr Chris, my family and for our helpers today. 31. Job 22: 28; pray now and nullify any plan to derail this ODM vision through marine witchcraft agents and court cases or evil bloggers. 32. Ephesians 6: 8; Pray in tongues concerning today as led now. 33. Psalm 103: 1-5; Bless the Lord with that song or see the odm hymns, praise and worship songs now and give Him thanks for answering your prayers and for wiping your tears today. (NOW SAY THE DAILY PROPHETIC DECLARATIONS ON THIS WRITE-UP/ARTICLE, “SATAN, MY MOUTH IS YOUR DISAPPOINTMENT AGENDA” to know what to declare in all battles). Its the Lord’s doing and it is marvelous in our sight. Keep engaging, pray without seizing, because that is ODM’s vision for all worldwide. It is not over until you win. You’re welcome.